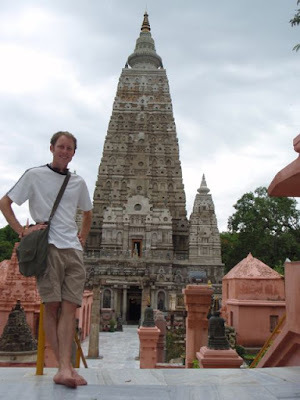 I haven't made time until now to sort through some pictures and video from my visit to Bodhgaya, India. This is the town where the first Buddha (Prince Siddhartha) attained full enlightenment back in 623 B.C. There is a massive monument (54 meters high) and park setup, with tons of burial sites and shrines built by folks from all over the world, known collectively as the Mahabodhi Temple (maha = big, bodhi = tree which buddha sat under). Additionally there is a massive (25 meters high) seated Buddha statue worth visiting. 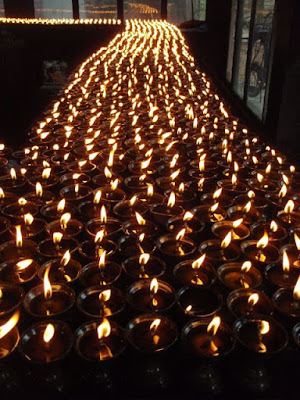 Many sites in the town have been dedicated by the Dalai Lama. 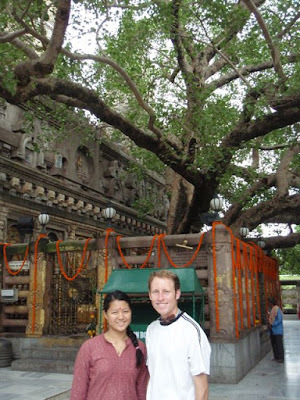 The bodhi tree shown below is, in a manner of speaking, the same tree as the original that the Buddha meditated and reached enlightenment under. A sapling was cut from the original tree for safekeeping and taken to Sri Lanka. As chance would have it, an invading group cut the tree down, and later a portion of the tree was brought back and planted in the original spot. Lots of Buddhists from all over the world have come to this town and set up monasteries for monks from their homeland to come and study. 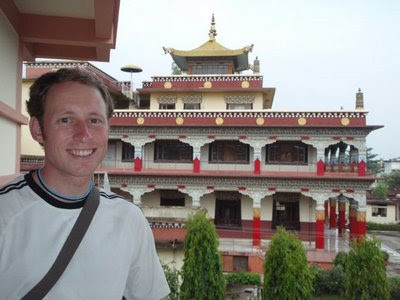 I was lucky enough to stay in two separate Tibetan monasteries. Others in town were from: Bhutan, China, Japan, Myanmar, Nepal, Sikkim, Sri Lanka, Thailand, Tibet and Vietnam (Full list thanks to Wikipedia). 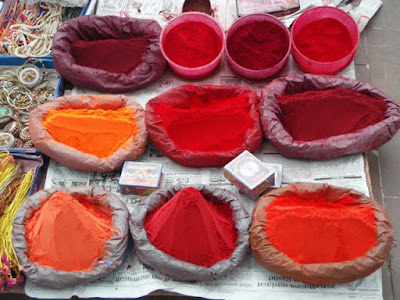 And finally, just a picture to capture the vibrance of India, this one shows the various colors, and the intensity, of the powder used in religious celebrations and every day life, all available for a few rupees in every market. 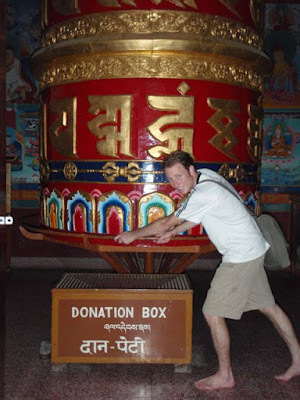 Here's a disturbing article on the smuggling of Buddhist relics in India I came across while googling.